Designed as an alternative to traditional braces, Invisalign® can inconspicuously straighten crooked and unevenly spaced teeth. Invisalign® eliminates bulky metal brackets and wires by using a system of clear plastic aligners instead. Each set of aligners is custom-made to fit the patient’s teeth comfortably while gently guiding the teeth into their ideal position. 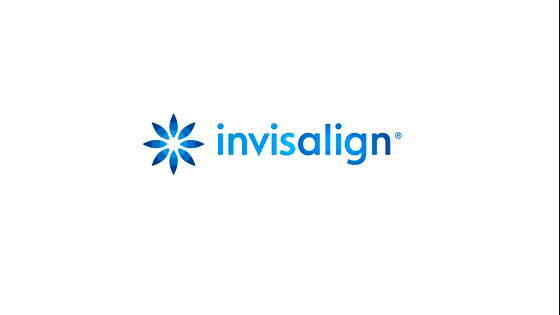 Cosmetic dentist Kevin Sands, DDS recommends Invisalign® for patients who want to discreetly improve the appearance of their smile and the function of their bite. The Invisalign® system uses a custom-made series of clear plastic aligners that are comfortable and virtually unnoticeable when worn. Since these plastic aligners are also removable, patients can still clean their teeth with ease and eat without dietary restrictions. In addition, Invisalign® patients can avoid the hassle of returning to the dentist for issues such as broken wires or oral irritations that commonly accompany metal brackets. Finally, in many cases, Invisalign® can actually straighten the teeth more quickly than traditional braces, allowing you to return to your normal life as soon as possible. Once you are determined to be a good candidate for Invisalign®, Dr. Sands will take an impression of your teeth and create your first set of custom aligners. Each set of Invisalign® aligners is worn for approximately two to four weeks before moving on to the next set. By wearing these aligners at all times (whenever you are not eating or cleaning your teeth), your teeth will be comfortably and discreetly guided toward their ideal position. In many cases, the entire Invisalign® process can be completed within 9 to 15 months. The total treatment time will depend on the severity of your tooth misalignment. Consistently wearing your Invisalign® aligners is essential for fast and successful results. After treatment is complete, you can take pride in a more beautiful, healthy looking smile. To learn more about straightening your teeth with Invisalign®, schedule a consultation with Dr. Sands today. How Much Does Invisalign® Treatment Cost? Who are candidates for Invisalign® clear teeth aligners?